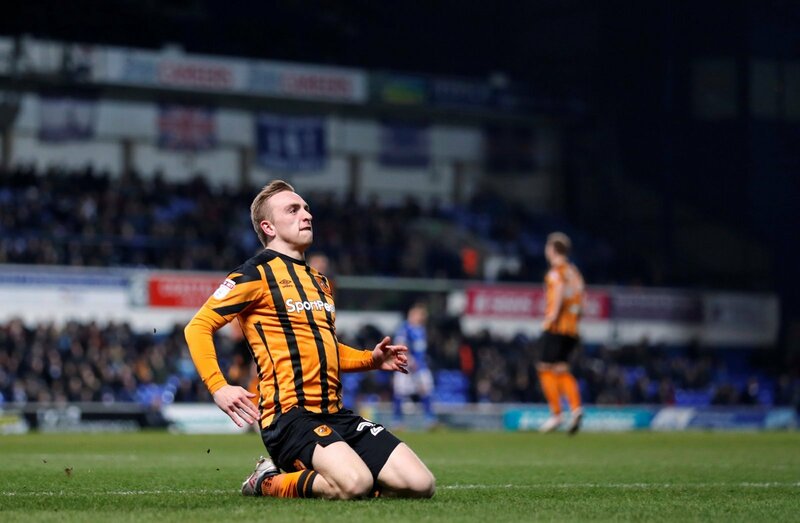 Hull City kept themselves in the play-off race with a convincing 2-0 win over Birmingham at the KCOM Stadium on Saturday. The Tigers certainly took their chances, and have talisman, Jarrod Bowen to thank for the three points as he netted a brace on the day. The win sees Nigel Adkins’ side move up to 10th in the table, and more importantly they are just four points adrift of the play-off places. Bowen is the subject of our FLW Spotlight this week, so we’re going to look into his performance in the win in more detail. 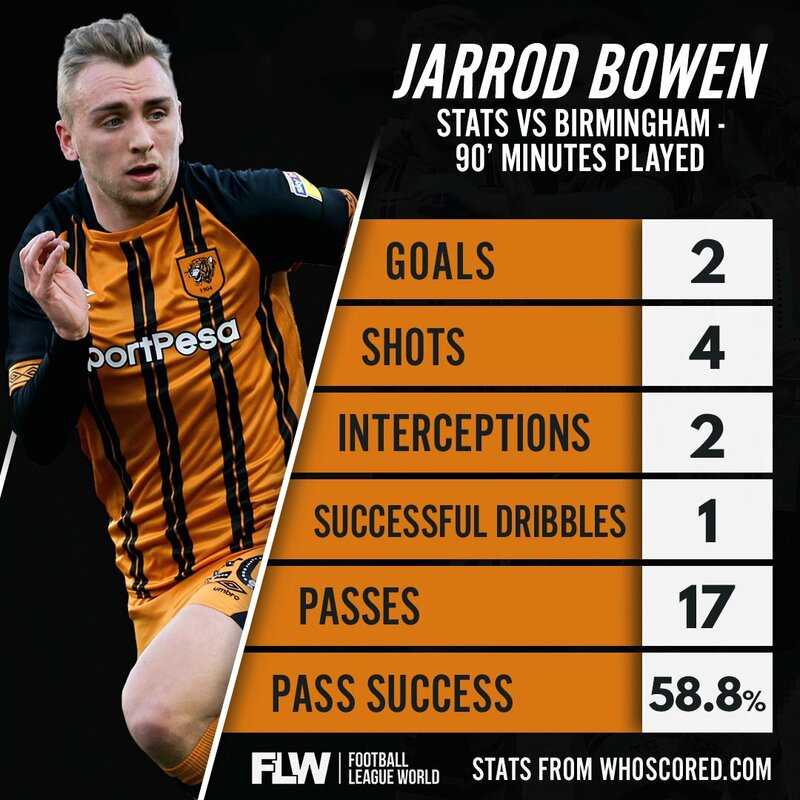 The most important statistic is the goals, and Bowen netted a brace against Birmingham which proved to be the difference between the two sides. It took Bowen’s goal tally to an incredible, 18 this season and it’s no surprise to see the likes of Tottenham keeping tabs on him ahead of a potential move in the summer according to Sky Sports. He had four shots in total , and with two goals from that, it makes more than impressive reading for Hull City supporters who will be keen for the club to hold onto Bowen. But he did only made 1 successful dribble which might come as a surprise compared to what we usually see from the pacy 22-year-old. But having been deployed further forward, he only went on to make 17 passes, with a 58.8% pass success rate in total. It wasn’t his best performance in a Hull shirt this season, but it shows the notable impact that he makes, even when he’s not at his best. If Hull are to have any chance of reaching the top six by the end of the season, they will need Bowen fit and firing on all cylinders for the remainder of this year’s campaign.